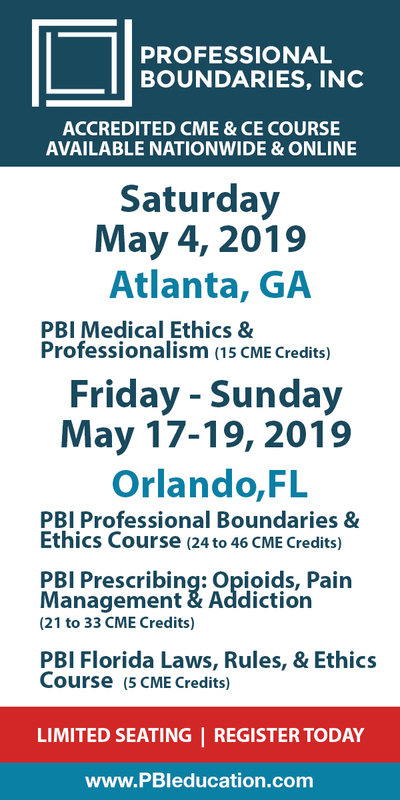 Research: Evidence-Informed Practice is organized by International Chiropractic Pediatric Association (ICPA) and will be held from May 11 - 12, 2019 at Sherman College of Chiropractic, Spartanburg, South Carolina, United States of America. The target audience for this medical event is open to chiropractors and students of 5th quarter/4th trimester or higher. This Conference has been approved for a maximum of 12 hours of continuing education credits. Course Description: Overview of current published research: understanding the various types of research and essentials of the case history. Application of current research and its relevance to case management in the family practice. Participants will be introduced to the methodology of preparing a case study for publication. Course Goal: To provide the attendee with the most relevant research in the chiropractic care of children and impart the ability to critically appraise and integrate/reconcile the research findings with the chiropractic empirical/clinical experience for the purpose of teaching, research and practice. Additional details will be posted as soon as they are available. Neurology of the vertebral subluxation complex (VSC) & Thompson Technique 2 is organized by International Chiropractic Pediatric Association (ICPA) and will be held from Jul 20 - 21, 2019 at Sherman College of Chiropractic, Spartanburg, South Carolina, United States of America. This CME Conference has been approved for a maximum of 12 hours of continuing education credits. CE Credits Request Fee: $45 per class. This fee is additional to seminar cost and is non-refundable Course Description: Get hands-on experience in the application of techniques with an in-depth consultation and demonstration of the chiropractic pediatric full spine exam and evaluation procedures: Thompson and Logan. Neurological assessment and examination of the infant. Contraindications and safety. The neurological model presented will outline the VSC's proposed aberrant effect on proprioception, nociception, immunity and the ANS. The neurological effects will be detailed at the site of subluxation, as well as the potential global effects on the human body. Hands-on learning environment: full-spine analysis, detection and adjustments will be practiced at this seminar. The effects of each adjustment will be tied back to the neurology of the VSC, ensuring practical understanding of all topics covered. Course Goal: For attendees to have a functional understanding of the neurology of the vertebral subluxation complex (VSC) and have a working understanding of the Thompson Technique, to utilize in practice. Additional details will be posted as soon as they are available. Eval & Adjusting Protocols: Correcting Spinal & Cranial is organized by International Chiropractic Pediatric Association (ICPA) and will be held from Aug 24 - 25, 2019 at Sherman College of Chiropractic, Spartanburg, South Carolina, United States of America. This CME Conference has been approved for a maximum of 12 hours of continuing education credits. Course Description: Expand your effectiveness and capabilities with your pediatric patients. In this hands-on workshop, you will explore the spinal and cranial adjusting techniques that can be implemented into your current practice paradigm. Examination, assessment and spinal and cranial adjusting for the child are taught using specialized meningeal and structural techniques founded on Sacro Occipital Technique principles. Course Goals: You will gain an understanding and working knowledge of how to evaluate, locate and correct pediatric primary cranial and spinal subluxation patterns. The course work focuses on ages 0-18 months using neurological indicators and objective evaluation protocols to determine these primary patterns and their corrections. Additional details will be posted as soon as they are available. Assessing and Reducing Risk in the Chiropractic Family Practice is organized by International Chiropractic Pediatric Association (ICPA) and will be held from Sep 21 - 22, 2019 at Sherman College of Chiropractic, Spartanburg, South Carolina, United States of America. This CME Conference has been approved for a maximum of 12 hours of continuing education credits. Description: Today’s family chiropractor is exposed to a unique set of risks in the day-to-day operations of the business of chiropractic healthcare and within the clinical setting of patient evaluation and care. In this class, we will explore the risk associated with current trends in chiropractic education, scope of practice, standard of care, documentation, patient communication and third party pay systems. Expect to delve into critical thinking relative to differential diagnosis and patient safety. Course Goal: This course will provide attendees with an overview of the aggravating and mitigating factors inherent in all aspects of chiropractic practice. A thorough discussion of the therapeutic care model and the associated stages will take place along with the analysis and management of vertebral subluxation within a salutogenic model of healthcare. At a Glance • 16 Modules: 14 seminars and 2 in-office research projects • Open to chiropractors and students: 5th quarter/4th trimester or higher • Attend individual seminars or entire series • CE credit offered for approved states Additional details will be posted as soon as they are available. Pediatric Alphabet Soup: ASD, ADHD, LD, PDD, SPD is organized by International Chiropractic Pediatric Association (ICPA) and will be held from Oct 19 - 20, 2019 at Sherman College of Chiropractic, Spartanburg, South Carolina, United States of America. The target audience for this medical event is open to chiropractors and students: 5th quarter/4th trimester or higher. This CME Conference has been approved for a maximum of 12 hours of continuing education credits. Course Description : The innovative approach to a challenging and rapidly increasing population that combines a special blend of chiropractic, functional neurology, occupational therapy and nutritional counseling. This seminar provides a hands-on learning environment and tools you can use in practice. Course Goals : Gain the knowledge and confidence to specifically care for children who come into your office with a variety of neurodevelopmental issues. This will range from infant challenges such as nursing/latching issues, colic/reflux and difficulties in crawling/walking to many of the “Alphabet Soup” disorders like ADHD, ASD, LD, and SPD. You will also develop an understanding of specific history taking and examination procedures to special types of chiropractic adjusting, functional neurological exercises and dietary changes. Additional details will be posted as soon as they are available. Developmental Neurobiology Course is organized by International Chiropractic Pediatric Association (ICPA) and will be held from Dec 07 - 08, 2019 at Sherman College of Chiropractic, Spartanburg, South Carolina, United States of America. This CME Conference has been approved for a maximum of 12 hours of continuing education credits. Course Description: From infancy throughout childhood, understanding and evaluating the pediatric nervous system is both challenging and rewarding. This module will focus on the important physiological intersections that impact spinal health, quality of life, and the attainment of milestones. Attendees will be exposed to current and contemporary neurological principles addressing the sensory, motor and cognitive systems as well as tone of the autonomic nervous system. Techniques of examination and assessment will be demonstrated throughout the module. Course Goals: This course will provide attendees with a functional and working understanding of the developing nervous system in order to better apply, interpret and organize their clinical procedures and applications to the patients seen in daily practice. Additional details will be posted as soon as they are available. Advanced Perinatal Practice is organized by International Chiropractic Pediatric Association (ICPA) and will be held from Jan 25 - 26, 2020 at Sherman College of Chiropractic, Spartanburg, South Carolina, United States of America. This CME Conference has been approved for a maximum of 12 hours of continuing education credits. Course Description: Building on the Webster Technique Certification, this module emphasizes hands-on clinical skills for serving the pregnancy and postpartum populations. This course addresses perinatal chiropractic research, pelvic balancing techniques, outcome based exams, and tools for engaging both birth providers and mothers in your community. Course Goals: Learn how to identify neurological soft signs related to subluxation of particular importance to the perinatal population, and understand how to address the postural, structural, fascial, functional and psychosocial factors unique to pregnancy and the postpartum period. Additional details will be posted as soon as they are available. Advanced Perinatal Clinical Application is organized by International Chiropractic Pediatric Association (ICPA) and will be held from Feb 01 - 02, 2020 at Sherman College of Chiropractic, Spartanburg, South Carolina. The target audience for this medical event is open to chiropractors and students: 5th quarter/4th trimester or higher. 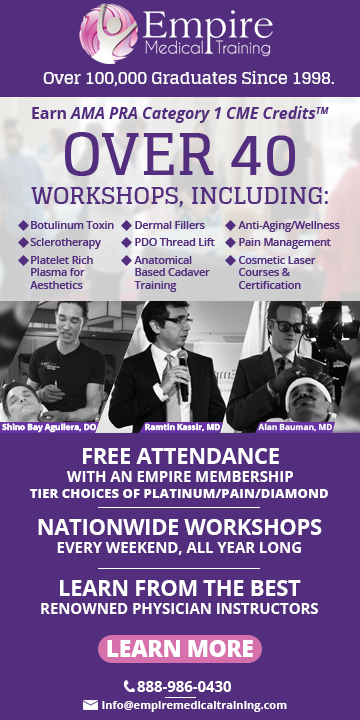 This Conference has been approved for a maximum of 12 hours of continuing education credits. Course Description: This course was previously titled "Advanced Perinatal Practice". Building on the Webster Technique Certification, this module emphasizes hands-on clinical skills for serving the pregnancy and postpartum populations. This course addresses perinatal chiropractic research, pelvic balancing techniques, outcome based exams, and tools for engaging both birth providers and mothers in your community. Course Goal: Learn how to identify neurological soft signs related to subluxation of particular importance to the perinatal population, and understand how to address the postural, structural, fascial, functional and psychosocial factors unique to pregnancy and the postpartum period. Additional details will be posted as soon as they are available. Family Nutrition: Epigenetics and Parental Health and Nutrition for the Perinatal Period is organized by International Chiropractic Pediatric Association (ICPA) and will be held from Feb 22 - 23, 2020 at Sherman College of Chiropractic, Spartanburg, South Carolina, United States of America. This CME Conference has been approved for a maximum of 12 hours of continuing education credits. Course Description: Gain an understanding of nutrition and learn how to effectively incorporate this information into your practice. Explore the relationships between epigenetics, nutrition, fertility and family health. Understand the latest findings in epigenetics and the roles of sugar and pH in health and disease. You'll learn how optimal nutrition can improve fertility, how poor nutrition can weaken fertility and the effects of nutrition during and after pregnancy. Course Goals: In this course, you will gain a vitalistic understanding of nutrition, create a working knowledge of lifestyle-based ways of eating and understand nutrition from an ecosystematic level, epigenetic level and how it will affect future generations. Additional details will be posted as soon as they are available. Mastery of Chiropractic Principles and Practice is organized by International Chiropractic Pediatric Association (ICPA) and will be held from Mar 28 - 29, 2020 at Sherman College of Chiropractic, Spartanburg, South Carolina, United States of America. The target audience for this medical event is open to chiropractors and students: 5th quarter/4th trimester or higher. This CME Conference has been approved for a maximum of 12 hours of continuing education credits. Course Description : Explore the multifaceted dynamics of chiropractic family wellness practice. The course will provide you with the tools and systems to create a successful practice congruent with the traditional values of chiropractic philosophy in a contemporary application of chiropractic technique. You will be challenged to develop mastery in every aspect of practice with emphasis on the care of infants and children. Course Goal : Attendees will learn how to create a practice paradigm and develop a practice congruent with chiropractic philosophy, science and art. You'll review concepts and techniques presented in previous seminars and allow refinement and mastery of those skills. Take home the tools to practice with excellence and innovation. Additional details will be posted as soon as they are available.